I’ve been using this plugin months until now and I found it quite handy in managing all my favorite subscriptions (web) online. 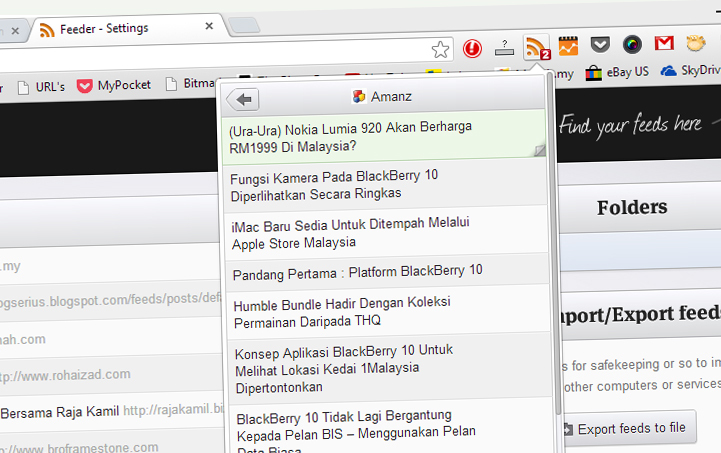 You can add all your RSS link of all the website that you always read to not miss their latest update on the web. Last time (a month before the new updates) I was able to open link of new posts available by middle clicking on the title and continue to do that to all desired posts that you want to open and as you finish, you will only need to click a big button on the top of the list which will open all chosen posts you made before. But since the last 3 updates, I can’t do that anymore. But apart of that, I really love this plugin. 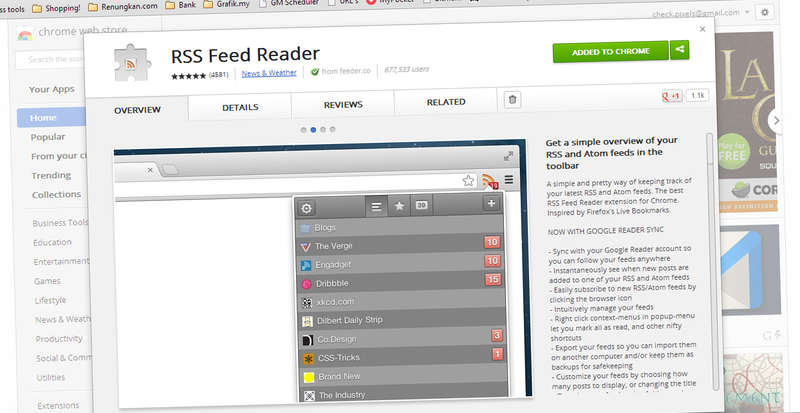 Get your Chrome RSS Feed Reader plugin now.